Nothing beats a calming bath after a hard days work and starting your day with a refreshing shower is all but essential. When your bathroom is such an important room in your home, it’s design must not be overlooked! Typically, space is an issue in many bathrooms. Down to this, you must utilise your space as best possible. A mirrored cabinet above the sink is a perfect space saving idea as adds practical space behind an essential mirror in a good looking manner. A further space saving technique we adore is bath panels with storage space. Unless you have a gorgeous free-standing roll top bath, so much space is going to waste completely empty. These either sliding or pivoting storage spaces allow you to keep all your bathroom supplies neatly and tucked away our of eyesight. 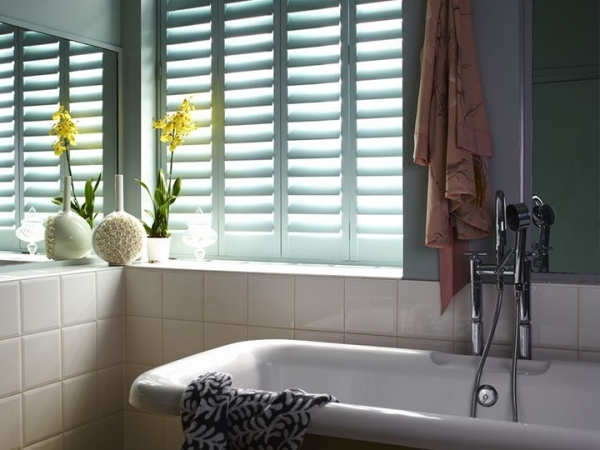 In a much similar way, utilising plantation shutters in your bathroom has a practical and aesthetical value. 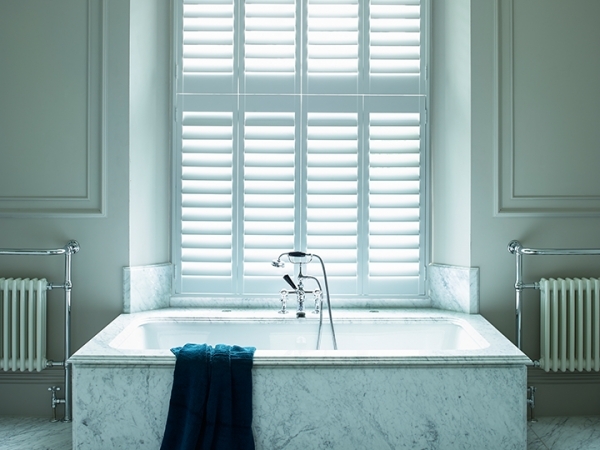 Of course we all know shutters look fantastic in bathrooms, adding to the nautical feel many designs aim for, so we won’t delve into that! A design constructed of polyvinyl is perfectly suited, as they are completely waterproof shutters. However, this isn’t to say that poplar or elm wouldn’t work in many bathrooms, where they are out of the way of ‘splash zones’.